When you are the parent of young children, finding a stroller friendly place to walk, that is interesting for everyone can be a challenge. Now that the days are getting warmer and the daylight hours become longer, it's an ideal time to explore these interesting pram friendly walks around Adelaide and the suburbs. With everything from a fairy garden to wetlands loaded with birdlife, the selection below will get you and your family enjoying the benefits of getting outdoors. When you are a parent of young children, there are times when you could use some fairy dust to make the impossible happen. 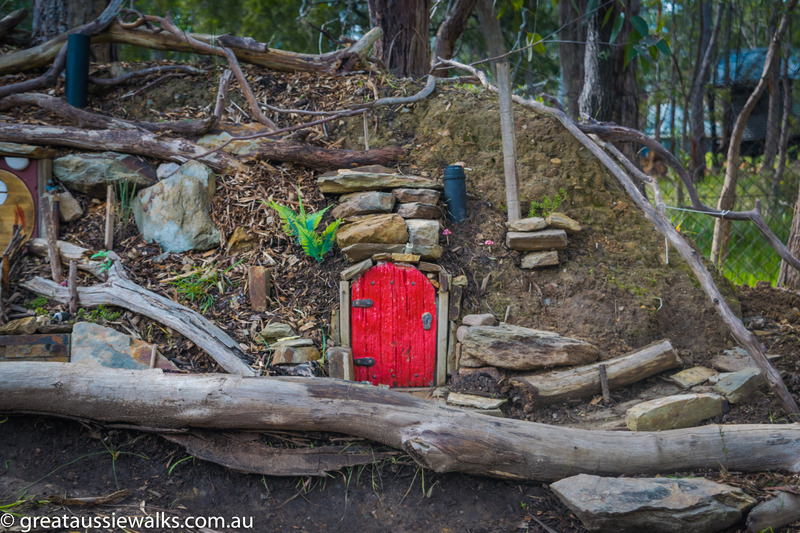 Here is a short pram walk where you just might find the fairy dust you seek, or at least the kids can find the fairies' houses. 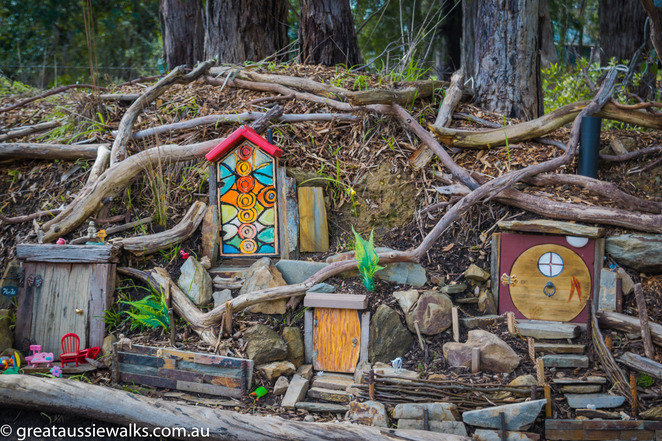 The 1km each way walk leads you from the Deanery Reserve car park in Bridgewater, to the fairy garden. If you have visited the fairy garden previously, you might notice that it has grown since your last visit, thanks to generous visitors bringing little fairy-sized items to add to the garden. Fairies can be difficult to find, luckily their houses are not. Just head along Old Mount Barker Road to Arbury Park Road in Bridgewater, about 20km from Adelaide. Turn right at the Deanery Reserve signpost, follow the dirt road into the car park, about 150m metres on the left. Walk down the fire trail to the Fairy Garden. 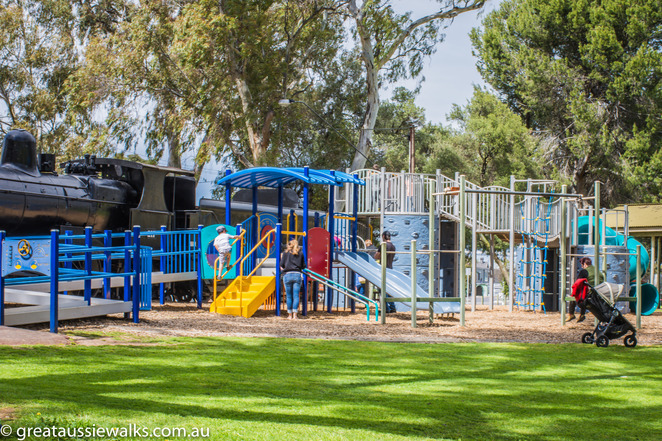 A short 2km lap of the Wynn Vale Dam or a longer 6km loop walk through to Grenfell Road on this scenic walk will provide many interesting activities for young children and adults. 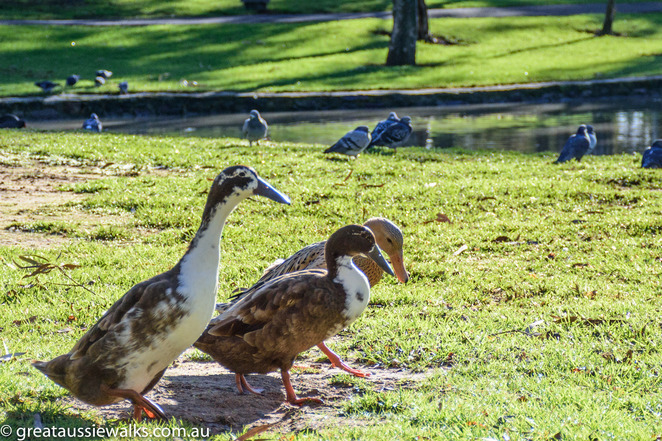 A variety of ducks swim on the dam, lorikeets and cockatoos fly between the trees and there is even a playground and picnic area, if your little one has had enough of the stroller. The mostly sealed walking trail starts from Shearwater Place in Wynn Vale, about 18km north-east of the city. The well maintained path travels past the fountain and information boards, which describe the amphibians, reptiles, birds that live near the dam. It's a popular place for families and dog walkers too, especially on the weekends, but there is plenty of room for everyone. 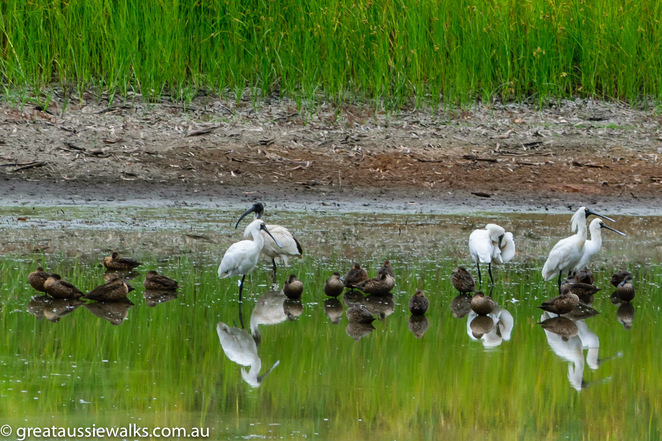 On a wide sealed path in Globe Derby, the Whites Road wetlands are a 10-hectare wetland formed from three manmade ponds adjacent to the Little Para River. Designed to assist with storm water drainage, the ponds are surrounded by River Red Gums and have become home to over 130 species of birds. You might want to brush up on your bird identification skills, particularly the White-faced Heron and the Wood Sandpiper, as the kids will want to know who's who in the wetlands. Located about 19km north of Adelaide, on Jones Road in Globe Derby Park, the wetlands can be accessed by parking on Whites Road to start your walk. This is a linear trail which extends all the way back to Salisbury, so turn back turn back when you feel the time is right. 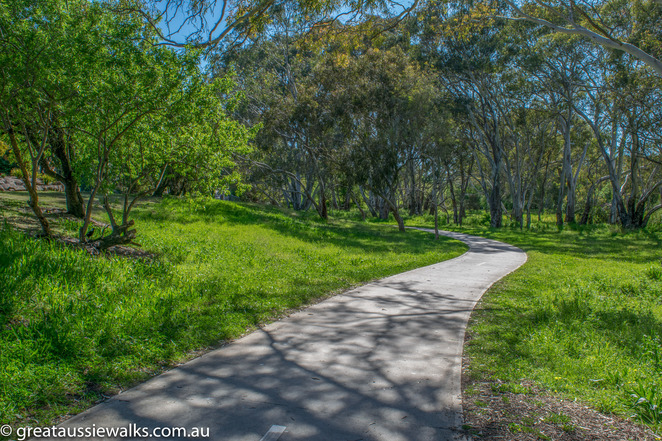 Situated on Sir Ross Smith Drive in Oakden, the sealed walking trails in Roy Amer Park offer walkers with strollers a scenic journey through an award-winning wetland. With plenty of birds, ducks and frogs to keep the kids interested, this park is often busy with young families and dogs walking their owners. The fenced off playground at the Sussex Court end of the park, offers children a chance to interact with each other while mum and dad can supervise nearby. There is plenty of seating and an undercover gazebo if you want to pack a picnic or you can barbecue in the park, if you prefer. You can bring the family dog too, as long as it remains on a lead. 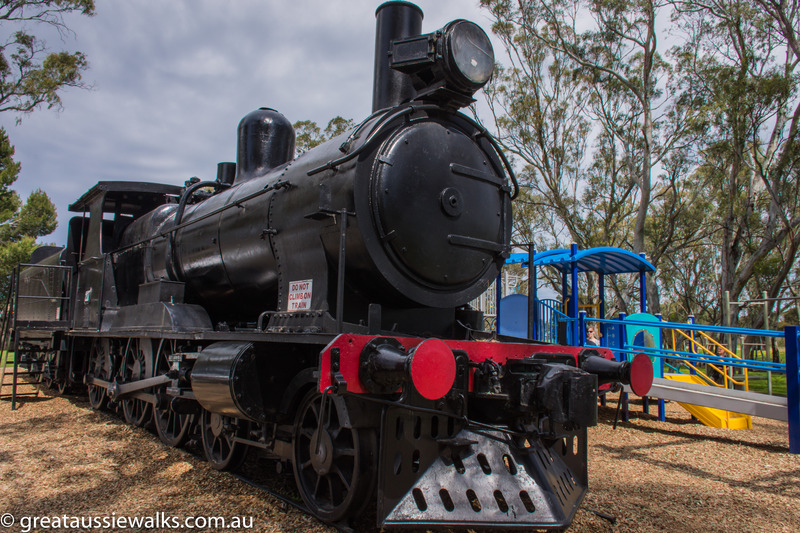 You'll be waiting awhile for the train at the Nuriootpa playground to take you to Tanunda, but after a play on the playground and the train engine, the 6km walk to Tanunda is an easy stroll on a shared use trail. Leaving from the Tolley Reserve car park on Tanunda Road in Nuriootpa, the scenic walk through the Linear Park travels alongside the railway line. The Nuriootpa to Tanunda walk will take you about two hours each way, so you may want to turn around if necessary. 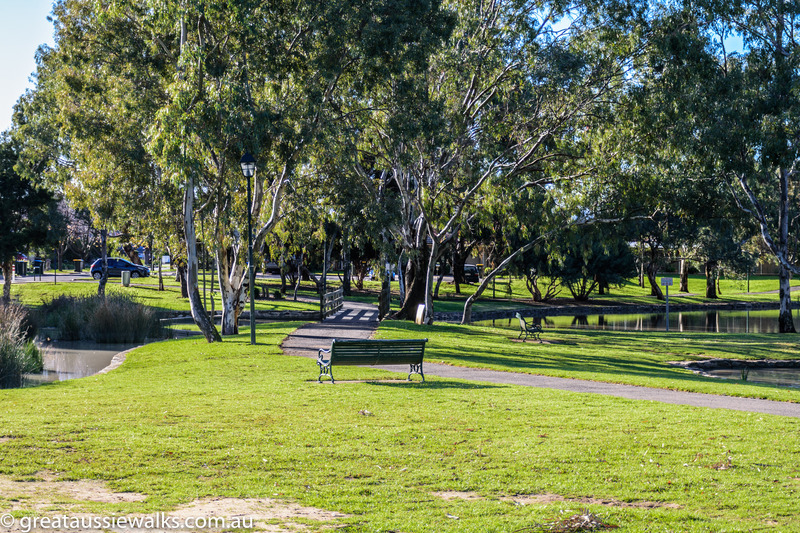 Picnic facilities at Tolley Reserve make this a great spot for a post walk snack and toilet facilities are available too. This trail forms part of a longer trail from Angaston, through to Lyndoch and beyond, so there is scope for many more kilometres of pram friendly walking options in the Barossa. beautiful photos Hazel! I must pay another visit to the fairies again soon!! I believe it was more likely vandalism & theft. I visited the site in April and it was clear the theft was recent. Moreover, removing those doors and windows caused much more damage so very doubtful it was any nature lover.